House Bill 2569, sponsored by Rep. Warren Petersen, a Gilbert Republican, allows people with occupational licenses from other states to practice their trades in Arizona without obtaining new license after moving here. “We know that there’s dignity in all work. 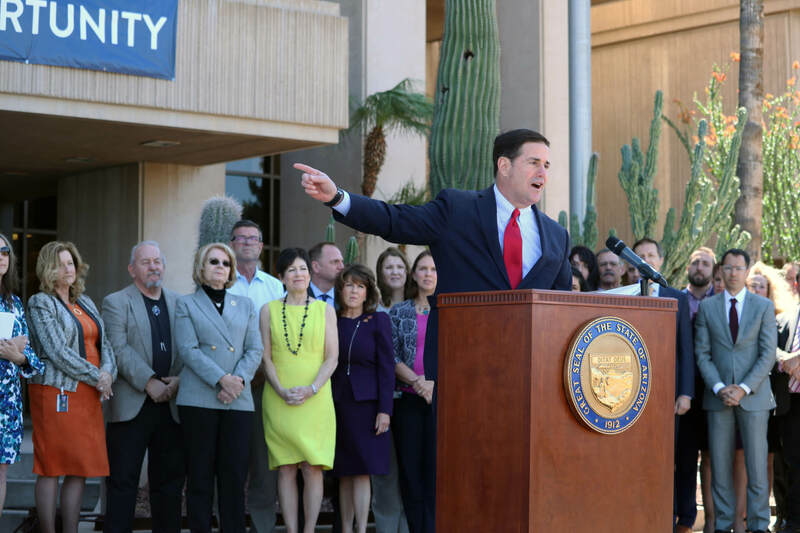 And we know that whether you make your living as a plumber, a barber, a nurse or anything else, you don’t lose your skills simply because you pack up a U-Haul truck and make a decision to move to Arizona,” Ducey said at the signing ceremony in front of the Executive Tower. Under the bill, regulatory agencies can still require a person with an out-of-state license to pass an examination on pertinent Arizona laws, if one is part of Arizona’s licensing requirement. Ducey has made occupational licensing reform one of his top issues since taking office in 2015. He touted recognition of out-of-state licenses in his state of the state address in January.